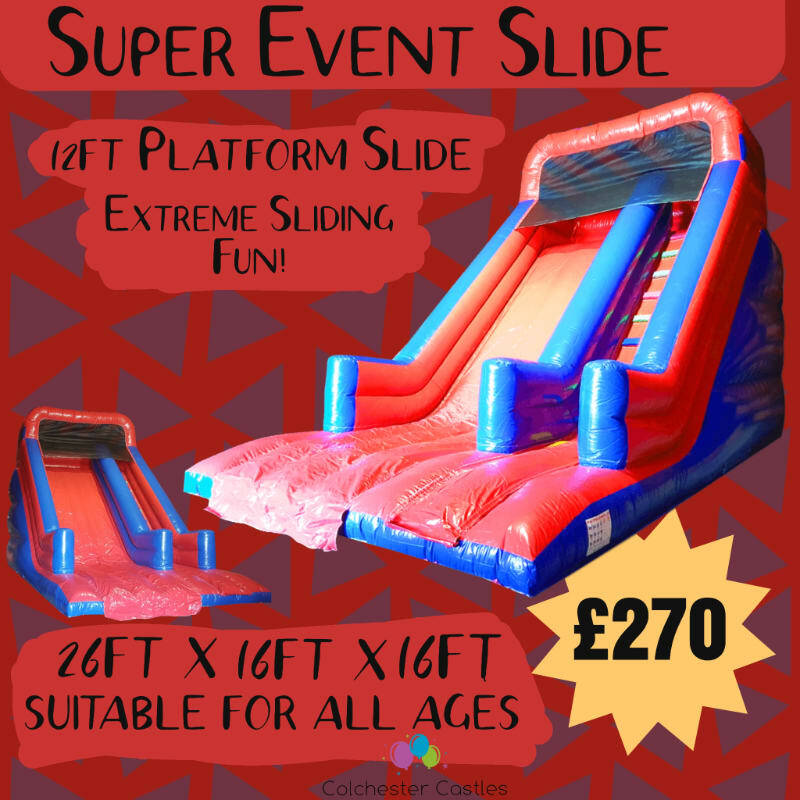 This slide is a must have for any community or corporate event, for dare-devil brides and grooms, or for an impressive inflatable at a party! Standing tall at 16ft, you can see this inflatable from a distance! Due to the size of this slide, we can also supply this as a staffed hire. Trained Inflatable Operators to supervise and chaperone so you can have peace of mind that users are in safe hands. Please contact us for staff prices. This is a very large inflatable and will need either 4ft clear access or a drive on location for delivery. 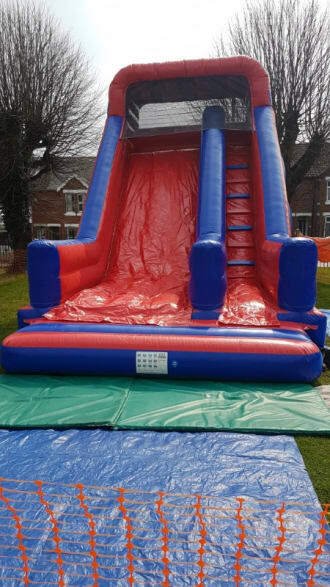 The slide theme matches our Energy Assault Course and they're often hired together for events.